How to save Instagram Photos? Are you looking for saving a instagram photo on your PC or SmartPhone?! Well, today we’re going to learn how to save pictures from Instagram. All of us might know that Instagram don’t have an option to save it in your phone directly through the official Instagram App. I’m now going to provide an App for Android in which you’ll be able to save the instagram pictures uploaded by users around the world. This App is called Instasaver which is available on PlayStore. Clicking on it redirects you to playstore. Now, what if you want it to be on PC? Well, there’s no Application is needed to save a picture form Instagram on PC. All you need is the website which allows you to extract and save the image from Instagram. The website is called dInsta. It is the best website which allows you to save image from Instagram online within its own server. 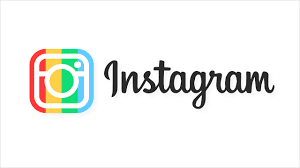 All you need is the instagram picture link which can be grabbed within the instagram app or using the pc to browse through the picture and copy its link from address bar.